Of course we all want what’s best for our little ones and we want to provide them with everything we can, which is why it’s not rare that we get stuck in work, but what sort of parents would we be in the eyes of our kids if all we did was work? If there’s one thing we can learn from films like Imagine That , starring the humorous Eddie Murphy, playtime with kids is part of our duties. The reason play is so important for kids is it’s the process of development, both mental and physical, which means play is simply a must, so here’s how you can turn your home into a fun place – your kids’ paradise! Something that’s always connected with kids is imaginary world. 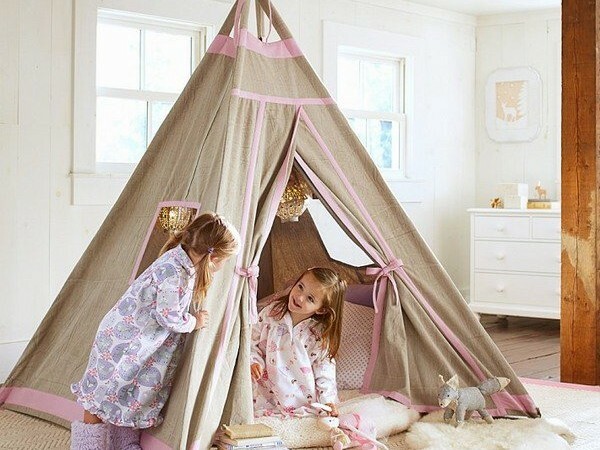 If you want to provide the ideal space for that, you can count on teepee for kids. Teepees are the perfect spots where your kids can go and get lost in their imaginary worlds, getting to know more of the world, creating stories and practising socialising and vocabulary this way. On the plus side as well, a teepee can give your kids the independence, they can play hidden from mummy and daddy, and build up their self-confidence. A teepee for kids can also bring diversity in your interior surroundings, with colourful designs to spice up your décor. 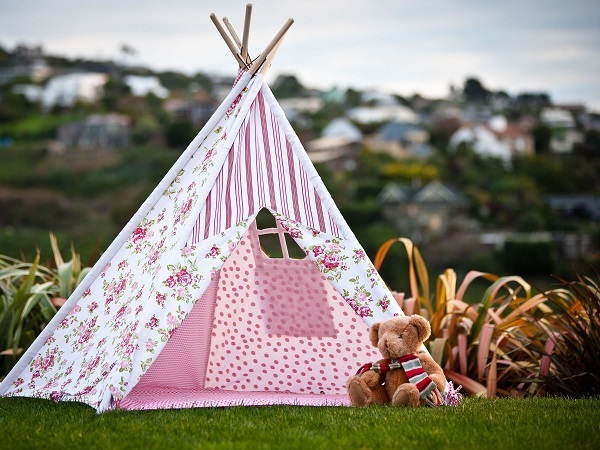 Given that quality teepees are made of heavy duty cotton fabric, they’re ideal for outdoors too. Apart from being easy to assemble, they are spacious enough for your kids to stand in, and easy to decorate with toys, rugs, cushions, and bunting for instance. Next up: wallpapers! Kids are natural artists, and they are always in the mood to paint and draw whenever they wish to. Their favourite canvasses are usually walls, something all parents fret about. Since there are types of wallpapers nowadays that are washable and made to withstand anything kids can put them through, they are your best bet to protect your walls and give your kids the freedom to work on their artistic talents. If you live in an apartment and don’t really have the outside area where your kids can play, there are still ways you can make sure they get all the physical activity. Depending on the space you have at your disposal for kids’ play, you can be as creative as you want by adding a ball pit, building a fort that doesn’t necessarily have to mean including plywood if you don’t have the needed space, or a sandbox with high enough walls to ensure there’s no sand spillage. And of course, don’t forget slides!